Bob Wray was a war hero who was awarded the Military Medal. But he fell upon hard times in the 1930s and also served a short time in prison, as we shall see. Bob was the seventh child of Alfred and Emily born 19 April 1894 at Preston. He was sent to school at a young age. In 1897, the headmistress wrote, ‘Robert Wray is so young that I will not press him to learn. He will be in the babies class next year’. 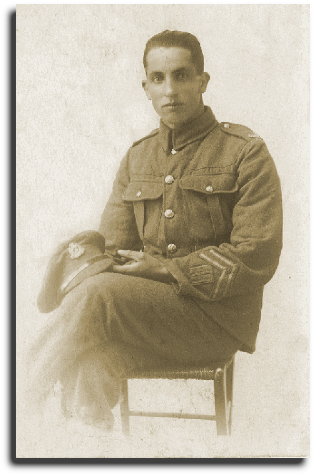 He enlisted as a private in the Suffolk Regiment (No 43525) just after his eighteenth birthday on 22 April 1912, two years before the outbreak of war. He later transferred to the Bedfordshire Regiment (No 10005) serving in the SCLC Labour Corps and was promoted to corporal. He fought in the battles of Festubert, Arras, Albert and Vimy Ridge. He was wounded four times and was de-mobbed on 23 March 1919. When his brother, Ernest was killed, it was reported that Robert ‘was with his brother in France serving with him side by side, and was present at Ernest’s funeral. Bob was described as having a fresh complexion, blue eyes, a linear scar on the back of his right hand and a half inch scar above his right eyebrow. He won the Military Medal. His medals were a source of pride. He played cricket for Preston on his return from the arena of battle and ‘wore a magnificent wide leather belt with regimental badges on it’. Bob was remembered as a right-handed ‘hitter’. The story is told that he ‘was once fielding on the long-on boundary at Preston when he let out a shriek and collapsed to the ground in a cloud of smoke. It transpired that a box of wax vestas in his hip pocket had become ignited in the sun. If memory serves correctly, he had his tea standing up on that Saturday’. 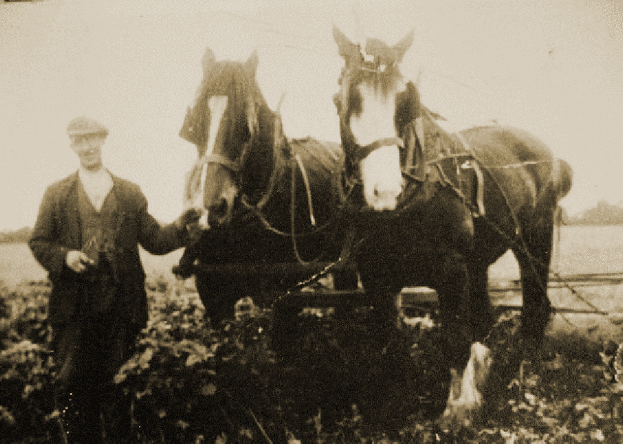 On 18 November 1922, Bob (a farm labourer) married Lizzie May Jenkins, the daughter of a jobbing gardener. The first of twelve children, Phyllis was born the following year. Bob left Preston to live at 6 Council Cottages, Peters Green on the outskirts of Luton. I get the impression that he didn’t have a great deal of contact with the rest of his family. He claimed Parish Relief of £20 for one week on March 27, 1937 as he was unemployed. Without beating about the bush, Bob is remembered as being a poacher and was ‘never out of trouble’. His attitude seemed to be, ‘I’m not going to starve when Harper’s (the gamekeeper) got all those (rabbits, pheasants etc)’. A son said that Bob was always being accused of something and that whenever chickens or other livestock went missing, the police made a bee-line for Bob’s front door. During World War II, Bob returned from work one day very tired and refused to go on Home Guard duty. The war hero was incarcerated in Luton Gaol. The local magistrate told his sons, ‘Your father is a silly old fool’. Bob and Lizzie suffered a sudden, sad loss on 6 January 1945 when their twenty-year old daughter, Florence Minnie, (who was working in the munitions industry) was rushed to the Lister Hospital, Hitchin where she died from tuberculous meningitis.